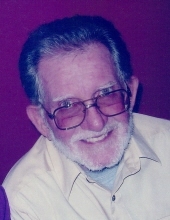 Kenneth Dean Vail, 78, of Palmyra, passed away Sunday, April 7, 2019 at Maple Lawn Nursing Home in Palmyra, MO. The family is being served by Lewis Brothers Funeral Chapel of Palmyra, MO. A graveside service will be 10:00 AM, Thursday April 11th, 2019 at Greenwood Cemetery, Palmyra, MO. Mr. Vail was born October 9, 1940, in Palmyra, MO to Grover and Frances Parks Vail. He was married to Rose Joann Russell on August 21st, 1970 in Hannibal, MO. She preceded him in death. Survivors include his daughters Sonya Lenz (Paul), Anita Pfeifer (Tom) of Quincy, IL., Laurie Martinez (Frank) of Aztec NM, and son, Troy Barnett of Palmyra, MO; sister Shirley Brown of Quincy, IL., grandchildren; Jordan Lenz, Joshua Scranton (Sacha), Brandon Scranton ( Alyssa), Josh Martinez, Lauren Martinez, Kaylie Martinez; great-grandchildren, Klayton, Tanner, Kinsley, and Brandi. He was preceded in death by his parents, wife, one brother, Robert Vail, Grandson Jacob Scranton. Kenneth graduated from Palmyra High School. Professionally Kenneth was a Carpenter and Architectural woodworker. He retired from Architectural Woodworking of Palmyra, MO. He enjoyed gardening, fishing, and woodworking. To send flowers or a remembrance gift to the family of Kenneth Dean Vail, please visit our Tribute Store. "Email Address" would like to share the life celebration of Kenneth Dean Vail. Click on the "link" to go to share a favorite memory or leave a condolence message for the family.